Hi Friends, if you follow me on Instagram you may remember me complaining about how bad I am at choosing rugs (and window treatments, for that matter). There's just something about them that seem so, so . . . permanent. 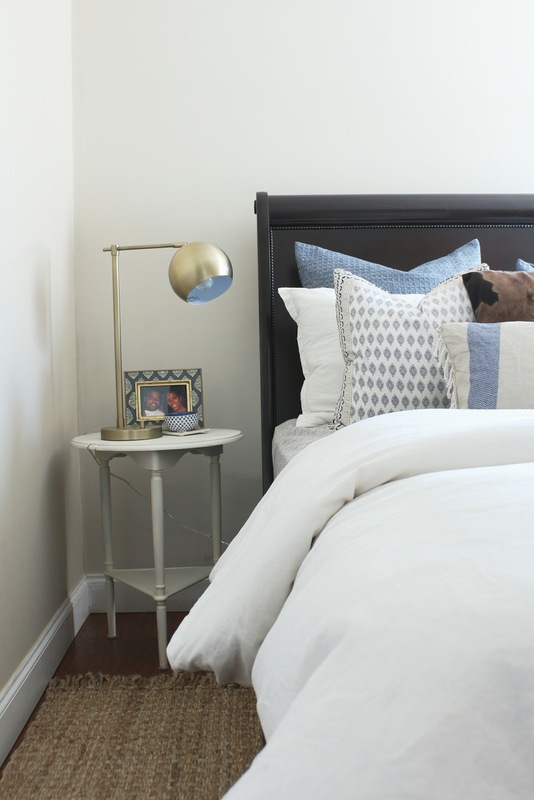 So, when it came to choosing a rug for my master bedroom refresh, it was no different. I ordered this rug from Target before Project: #1room30days began. I tried it out and it didn't take long for me to realize that I didn't love it. The pattern was a little too busy for the look I was going for, and seemed a little more formal than I had hoped for. I loved the color and texture of this rug, but quickly realized that it wasn't going to work. It was a 5x7 and I needed at least a 6x9 to fit under my queen bed. I searched online, and unfortunately they don't carry this particular rug in a larger size, such a bummer! At this point I got desperate! After having searched Home Depot, Target, Walmart, and Tj Maxx, I wandered into Homegoods and picked up 2 small, fringed, jute runners to place on either side of the bed. I liked this look a lot, the color and texture was perfect and it gave the room a more relaxed feel. But, I got kinda used to the idea of having a large rug to anchor the bed. I ultimately decided to order a larger version of the jute rug, and was able to get a pretty good deal. WooHoo! I ordered it from Overstock and received it in 2 days! 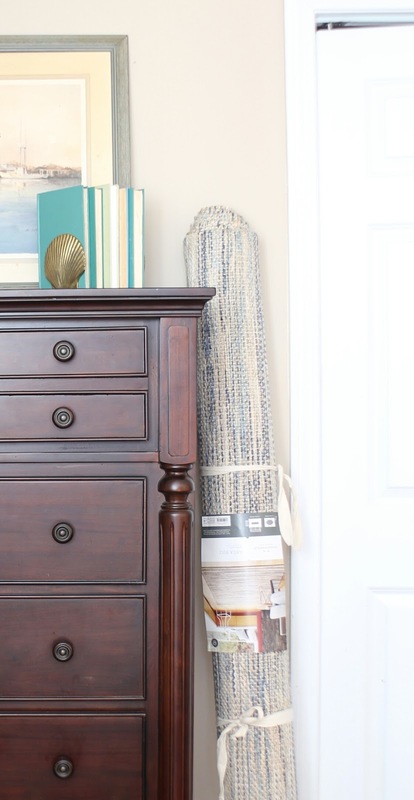 In addition to finally choosing a rug, in the past week I was able to paint my closet doors, put up new shades, paint my nightstands, and makeover my hubby's lamp! I feel like I've made pretty good progress so far! Carli I can't wait for your room reveal! Love the jute rug! I love a good jute rug! Cant wait to see your finished space!